Mental health problems are widespread, at times disabling, yet often hidden. One in four adults experiences at least one diagnosable mental health problem in any given year. People from all walks of life can be affected at any point in their lives. Mental health problems represent the largest single cause of disability in the UK, and the cost to the economy is estimated at £105bm per year – roughly the cost of the entire NHS. 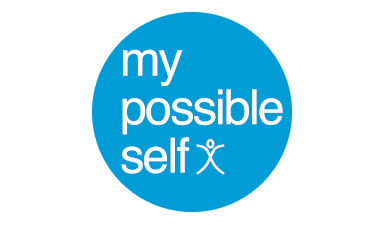 My Possible Self is a mental health app, which uses content developed by the Black Dog Institute proven to reduce stress, anxiety and depression in just eight weeks. The app helps adults learn how to improve thoughts, feelings and behaviour. It includes learning modules to help users overcome day-to-day problems, manage fear and improve happiness and wellbeing. My Possible Self’s solution aligns with the objectives of the Five Year Forward View for Mental Health to improve resilience, mental ill-health prevention, early intervention and accessibility. In a clinical trial registered with the Australian New Zealand Clinical Trials Registry, My Possible Self was found to faciliate rapid improvements in symptoms and in work and social functioning for individuals with mild-to-moderate mental health problems.